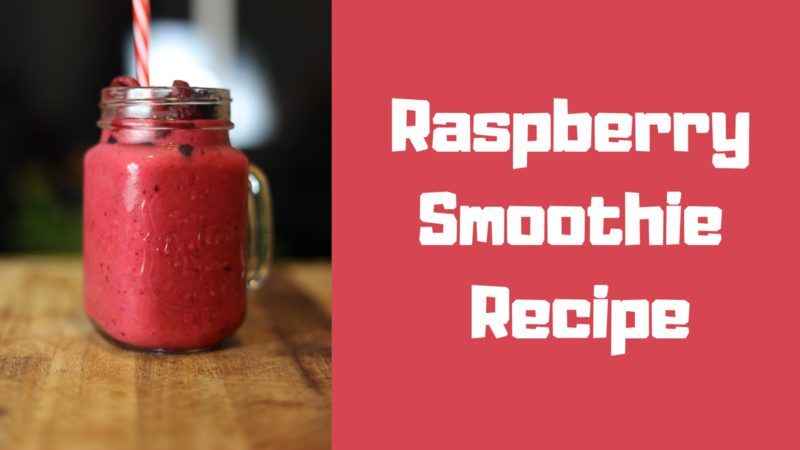 This raspberry smoothie recipe is full of berries, banana and Greek yoghurt, all blended up into smooth and creamy perfection! 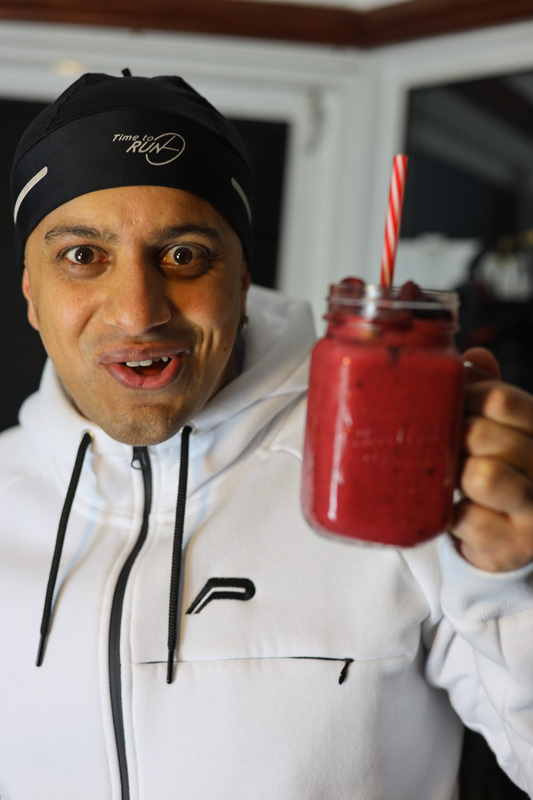 I am currently obsessed with smoothies! It’s been the easiest and quickest way to drink my meal on the go while packing in tons of nutrients in one glass. Raspberries are like tiny delicate edible gems. I love the enticing fuschia colour it adds to the smoothie. These fruity beauties are a rich source of phytonutrients and are an excellent source of dietary fibre, vitamin C, and manganese. The ingredients for this smoothie are pretty basic. You’ll need some apple juice, banana, frozen raspberries, honey, and vanilla Greek yoghurt. 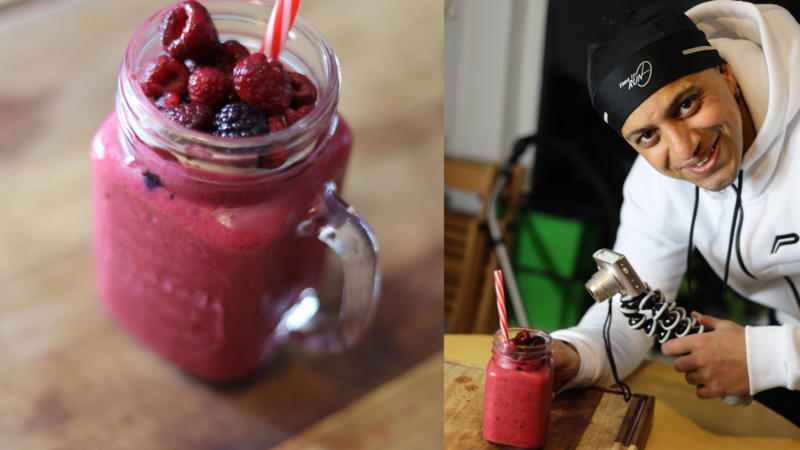 Smoothies are a great way to get extra nutrition into your family – this delicious raspberry smoothie is full of protein, fibre and vitamins! Place the apple juice, banana, raspberries, yoghurt and honey into a blender. Pour into 2 glasses and serve, topped with raspberries and mint sprigs if desired. You can substitute almond milk or coconut milk for the apple juice.